What On Earth Is Duckpin Bowling? First of all, no ducks were harmed during the writing of this story. Turns out duckpin bowling has literally nothing do with ducks at all. It’s a bit bizarre, though more nostalgic. It’s frustrating, though more fun. Anyone can play and anyone can beat anybody else. 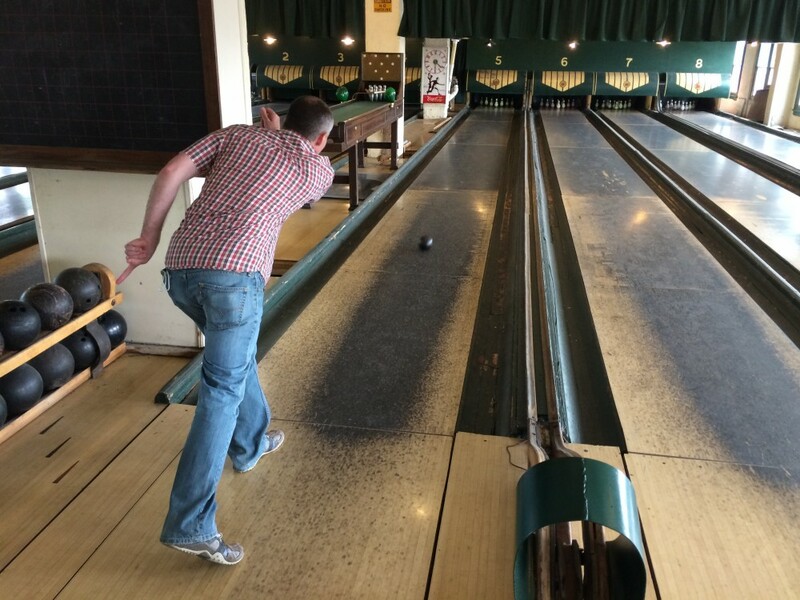 In a nutshell – that’s duckpin bowling. 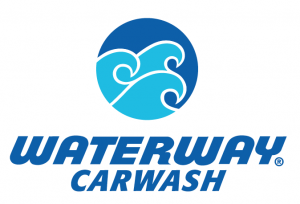 Located in the Fountain Square neighborhood of Indy – Linton Calvert brought the game to town back in 1986. An avid bowler in his younger days, Mr. Calvert discovered duckpin bowling back in 1970 while stationed in the Army. 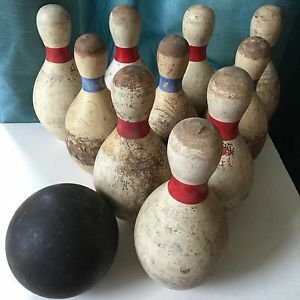 The duckpin ball weighs three pounds and is slightly larger than a softball. (4-3/4 in to 5 in diameter to be exact.) The other noticeable difference – no finger holes. In duckpin bowling – you’re allowed three throws instead of two. Oh and by the way, it doesn’t matter matter if you throw the ball right down the middle – you’re probably not going to get a strike. 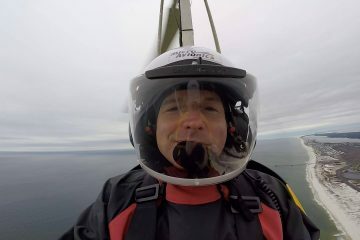 “Kids can throw it as well as any adult and both men and women are both equal when they play” according to Mr. Calvert. His standard answer when guys ask for a tip on mastering the game? “I tell them to drink a beer”. 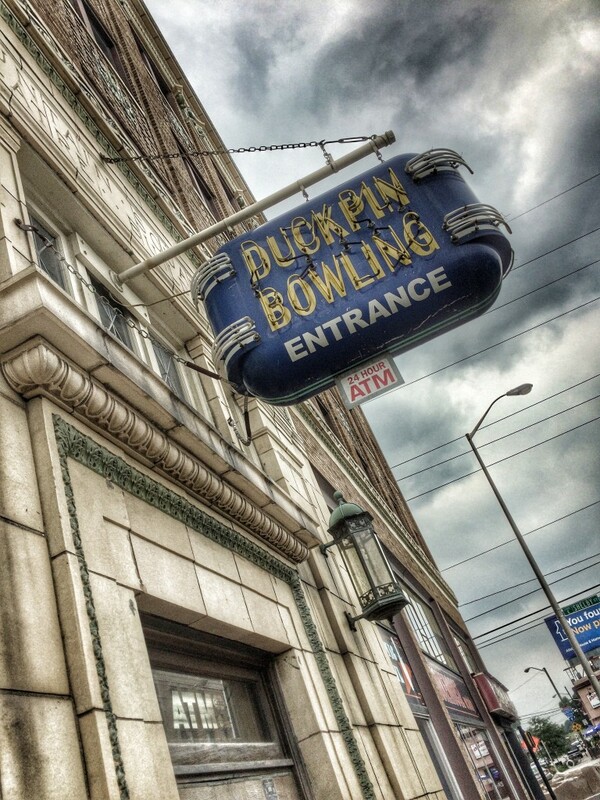 The entrance to the Duckpin Bowling at Fountain Square in Indianapolis. This location is one of just a handful of spots across the country that still offer the game. Naturally I set out to master the game – how could it possibly be this difficult? The ball fit perfect in the palm of my hand. I looked ahead, lined up my arm with the center pin and off it went. My first throw was pretty good – probably enough to knock down 7 or 8 pins – maybe even a strike, in a regular game of bowling. However, this isn’t regular bowling. 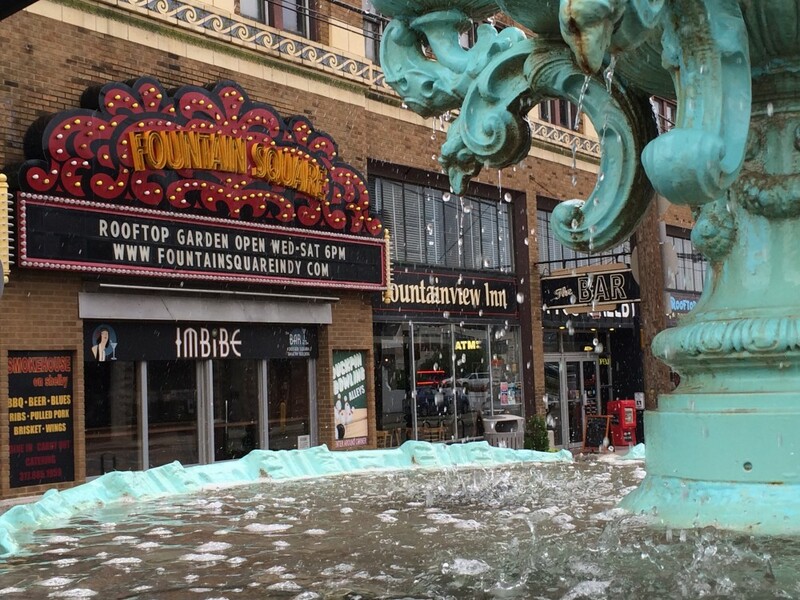 Calvert and his wife bought the Fountain Square theater building in 1993. Located just a short drive from downtown Indianapolis, the complex features unique spaces for meetings or special events, very cool hotel rooms known as the “Fountainview Inn” and places to drink and dine. First opened in 1928, the building has gone from “the big light on the avenue” to a Woolworth’s department store to a vacant office building in disrepair. In shambles, Calvert and his wife bought the Fountain Square theater building in 1993. 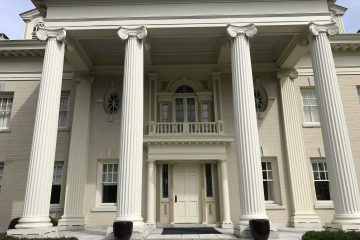 Located just a short drive from downtown Indianapolis, the complex now features unique spaces for meetings or special events, very cool hotel rooms known as the “Fountainview Inn” and places to drink and dine. Of course the main attractions are the two duckpin bowling lanes housed on the 4th floor and basement. There’s a garden on the rooftop that’s open to the public certain days of the week (weather permitting from Memorial day to Labor day) where guests can take in a terrific view of the Indy skyline and enjoy a meal or glass of wine. 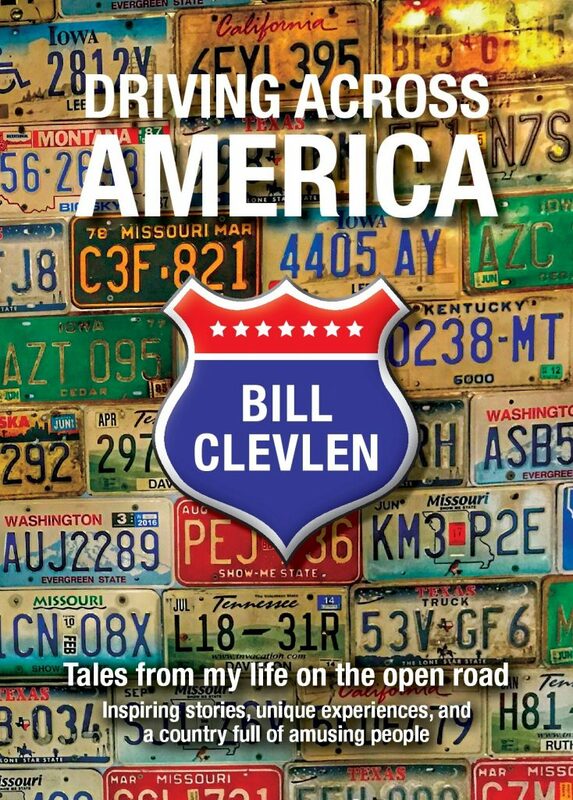 To hear more about my visit to the Fountain Square Theater and duckpin bowling – check out the Bill On The Road episode from Indianapolis where we also feature the Indianapolis Motor Speedway, Children’s Museum of Indianapolis & Connor Prairie History Park.